RUDEST PEOPLE EVER. STAYED THERE LAST YEAR AND IT WAS FINE. THIS YEAR, WE MADE OUR RESERVATION ONLINE AND OVER THE PHONE AND THEY GAVE OUR SPOT AWAY. WILL PROBABLY NEVER STAY HERE AGAIN. RUDE RUDE RUDE! This place is great! We have stayed at all of the rv resorts in Galveston and this by far is superior to them all. The slips were wide! BBQ pit and table st every camp sight. Pools clean. Food was good and drinks were AWSOME( strawberry daiquiri were good and strong). Need to make a trail for campers to get to beach access on the left with golf cart. If that could happen then would have more beach options. We liked it so much we are coming back in July for 2 weeks. We live in SP area of Houston so not a long drive for us so we will be coming all we can. 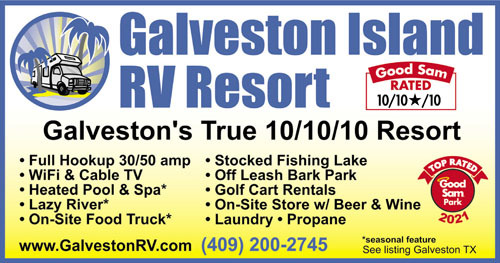 Galveston island rv will be the only place we will stay . We have stayed here twice. Both times we really liked the place, the sites are great, the facilities are all brand new and very nice. Unfortunately, we have a German Shepherd now, and are no longer welcome according to their rules. Lucky for us, this isn't the only resort in the area. Thank you for taking the time to post a review. We are pet owners too and understand how our pets are an integral part of our family. Unfortunately our insurance requires us to put a restriction on certain breeds of dogs. Do we like this or think it is fair, No. Other parks most likely have the same restrictions as there are only a handful of insurance companies that cover RV Parks. None of this really matters until someone gets hurt and then the burden (and financial loss) will be on the park operator. This is a risk we cannot afford to take. This place is wonderful! The office staff are very nice and helpful. The grounds are very nice. The sites are level. The pool and lazy river are refreshing! There is a short walk to the beach across San Luis Pass Road or you can rent a golf cart. The off-leash dog park is fairly large but it is not lighted at night. We were here from Sunday to Saturday and it was very quiet and peaceful. If you need groceries there are several options with a short drive. 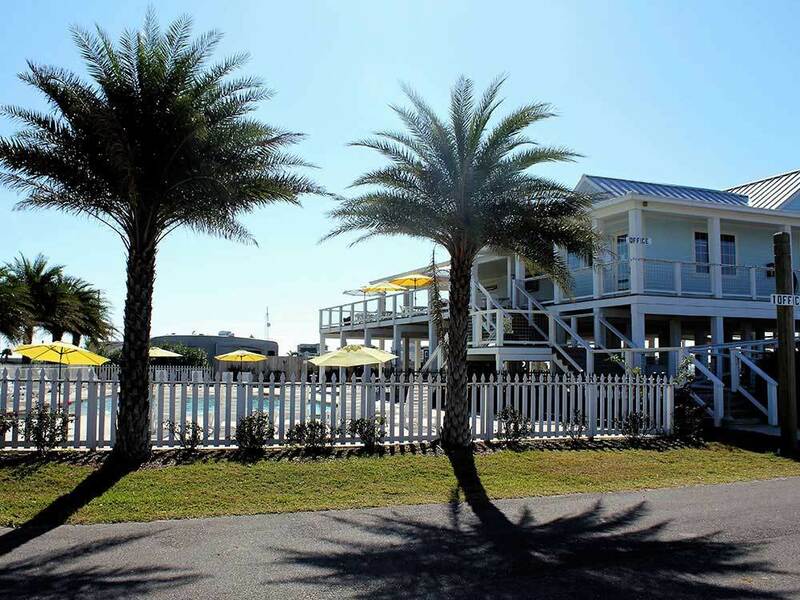 Galveston Island RV Resort is a 10 in our opinion and we will return! Thank you for the kind words and choosing us as your vacation destination. Happy campers keep us going!! Hope to see you again soon.